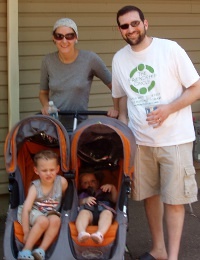 "When we relocated to Cherry Hill from Teaneck we had no idea what to expect. Being here for over a year now, we feel so privileged to be a part of such a warm, accepting, and kind community. We had no idea a place like that even existed, yet here we are!" 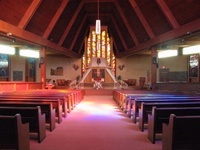 Congregation Sons of Israel, the largest of the Orthodox shuls in Cherry Hill, is a vibrant, shul with many young families building on our rich 121 year old history. Founded in Camden in 1892, Sons has been the center of Orthodox Jewish life in Southern New Jersey for over a hundred years. We recently celebrated our 40th year at our present location. 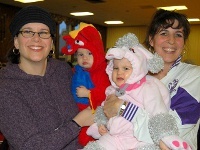 We are have dynamic Shabbat Morning groups for children 18 months and up, provide exciting children's programming throughout the year, and host an active Bnei Akiva chapter. 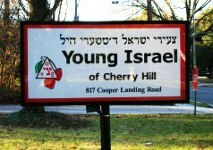 Young Israel of Cherry Hill is a center for Jewish life in Cherry Hill, NJ. 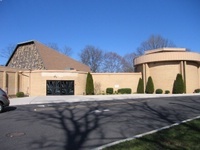 Founded in 1996, the Shul serves not only as a place of prayer, but also as a home for Torah Study. Under the leadership and direction of Rabbi Jonathan Bienenfeld, the Shul offers both Men's and Women's Torah classes that draw Jews of all backgrounds. For more information about Young Israel of Cherry Hill, or to schedule a visit to the community please contact Rabbi Bienenfeld at (856) 667-1979.